Nearly 90% of Floridians have participated in some form of gambling. For most people, the activity of gambling is an occasional recreational pursuit and does not cause a problem. Gambling addiction is, however, a debilitating compulsion affecting every area of one's life. 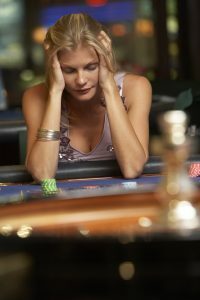 A gambling problem may develop progressively or instantaneously. Gambling addiction can directly affect ones job, family, and friendships. Family members often seek counseling for direction and their own needs due to the impact of frequent denial present with gamblers suffering from gambling addiction. Gambling treatment includes Individual Counseling, Group Counseling, and Family Counseling. Led by Dr. Dye. Groups are 'closed' (group members remain the same through sessions). Pathological gambling, commonly referred to as compulsive or problem gambling, is a progressive behavior in which a person develops an undesirable, uncontrollable preoccupation and urge to gamble. This results in excessive gambling that reaches the point where it compromises, disrupts, and destroys the gambler's personal life, family relationships and/or vocational pursuits. Gambling venues include but are not limited to: online, casino, scratch offs, and lottery. Specialized counseling through problem gambling treatment is available through a National Certified Gambling Counselor/Supervisor available at Triangle Resolutions. Gambling treatment programs are outpatient and can be more intensive outpatient in nature if returning from or considering residential . Mental Health Counseling expertise is available for individuals with or suspected to have a gambling problem. Licensed Mental Health support is also available for loved ones of problem gamblers. Comprehensive treatment services may include but are not limited to: couples counseling, family counseling, individual psychotherapy, referrals, specialized treatment plans, and self help resources.